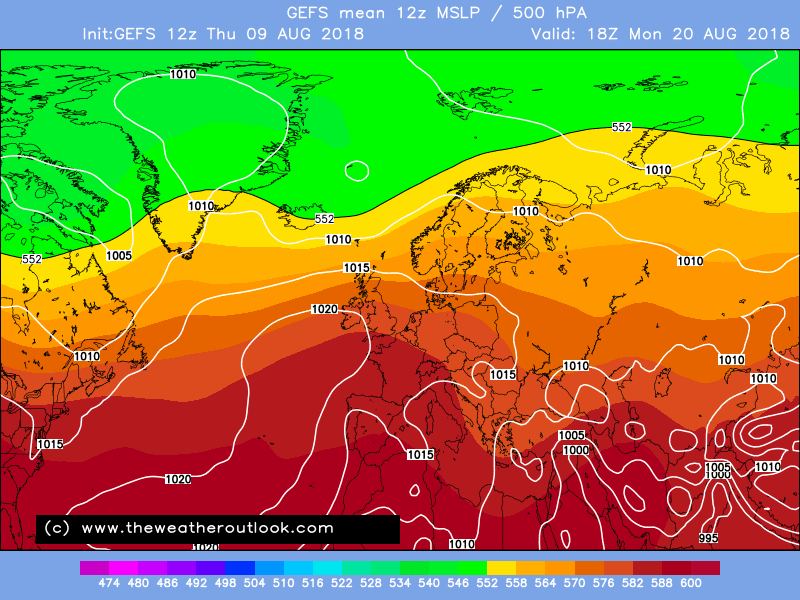 Quite an autumnal look to the Gfs 12z operational during late august. 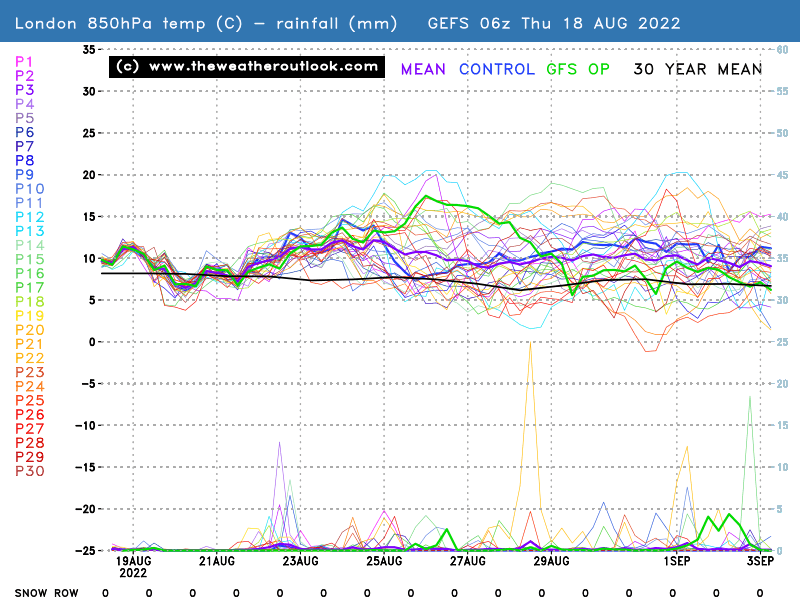 I wouldn't worry about that Frosty after all it is GFS FI and plus it hasn't latched onto the upcoming signals yet which have been mentioned by Singularity and Tamara in recent posts so expect a turn around in what it is being modelled during Mid-Late to Late August by the GFS if these signals (El Nino forcing mainly as well as other factors such as AAM) play out over the next 10-15 days if so then we may be in for a last hurrah for the end of Summer 2018 before autumn inevitably takes hold later in September. 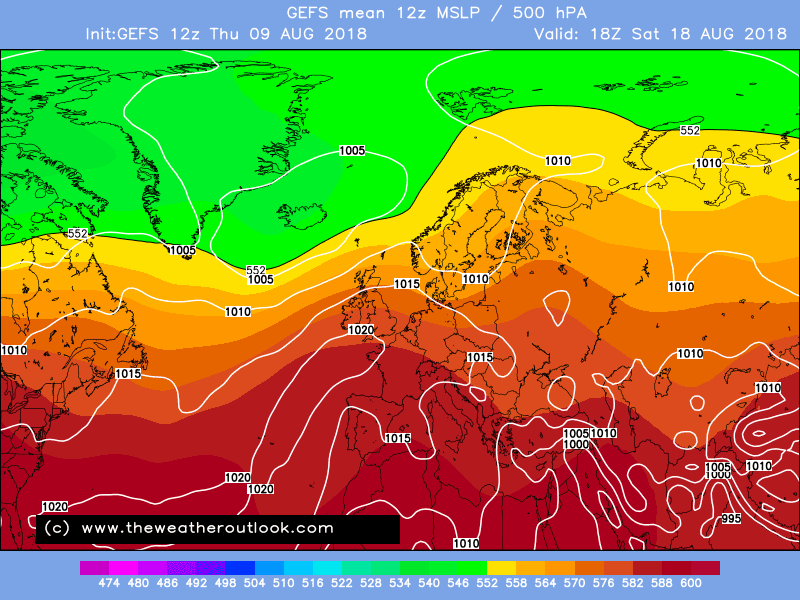 The Ecm 12z becomes quite autumnal too..ends better though with the azores high ridging in.  Edited August 9, 2018 by Frosty. You are along the right lines there @summer blizzard, and the bias-adjusted ECMF is showing more appetite for a phase 4 emergence today, though I see 5 as being a more likely starting point. Still a wide spread in the solutions though, and by the looks of the charts for our part of the world, the ECM 12z is among those that still kick off the MJO in the Indian Ocean. 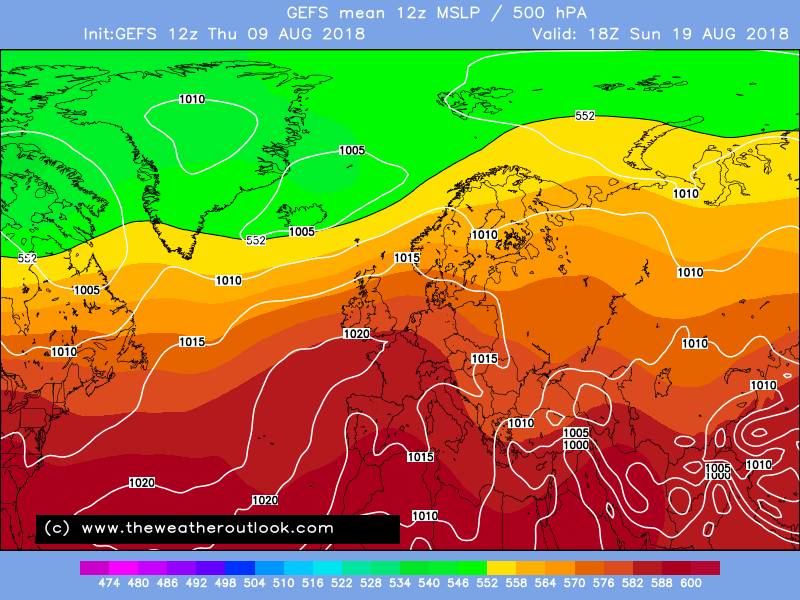 It was good, though, to see the UKMO 12z move a little toward recent GFS runs. If we can get the MJO heading toward phase 5 rather than 3 or 4, that will help to keep the main Atlantic trough from making it east of Iceland. 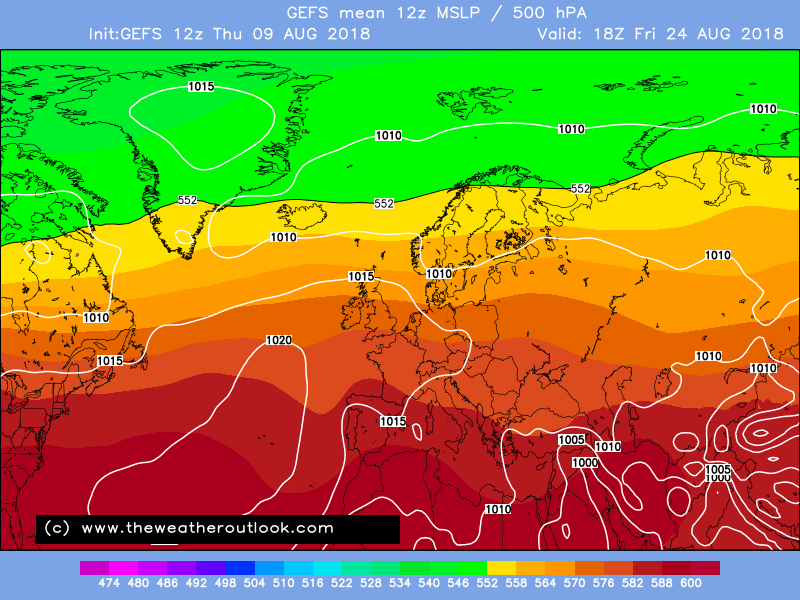 Otherwise, we likely watch that trough advance right into Scandinavia with ridging from the southwest taking a few days longer to start getting in on the act properly as the MJO orbits into phase 5 having started out west of there. 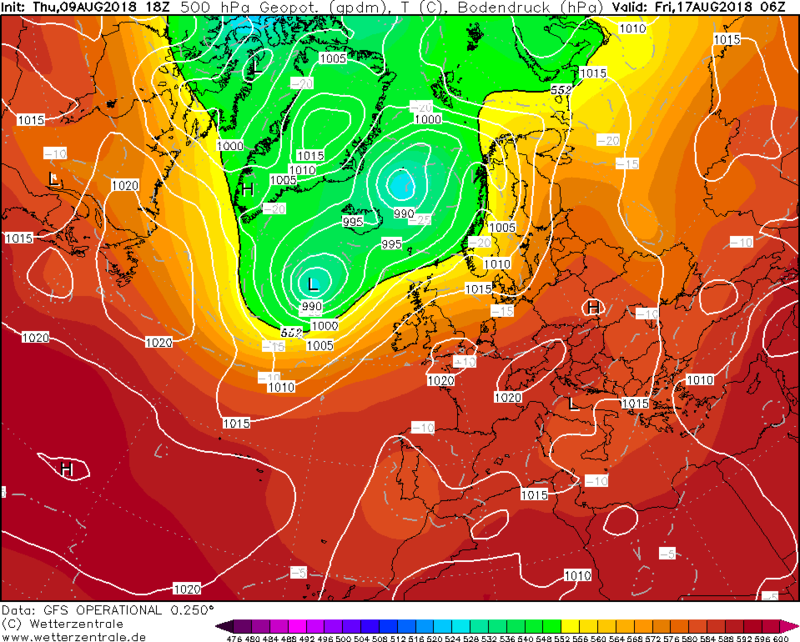 The Ecm 12z becomes quite autumnal too. Yet the same model was showing high temperatures yesterday! Struggling big time. Even if frosty may have flipped to winter mode, surely not yet! , I haven't! I think it will be a very short Autumn this year! 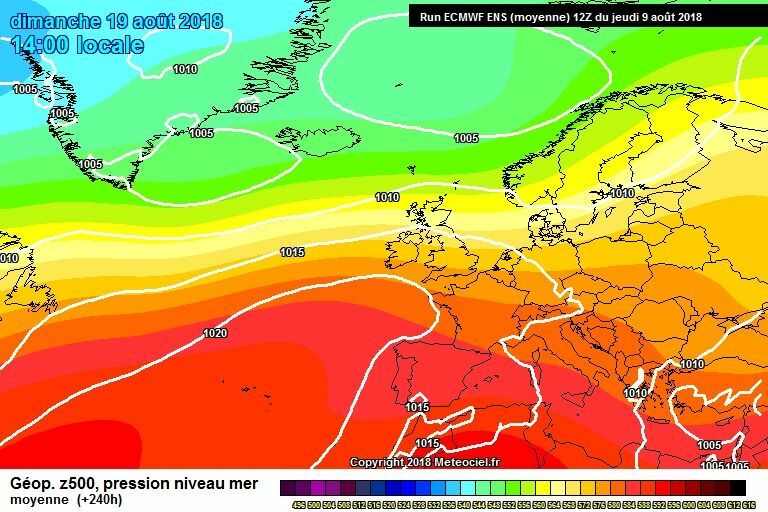 The ECM T240, looks good for that build of high pressure, that gives us a re-animation of summer 2018! I haven't flipped to anything, just describing what the models are showing that's all. Wouldn’t worry too much - 12z ensemble still all the place. 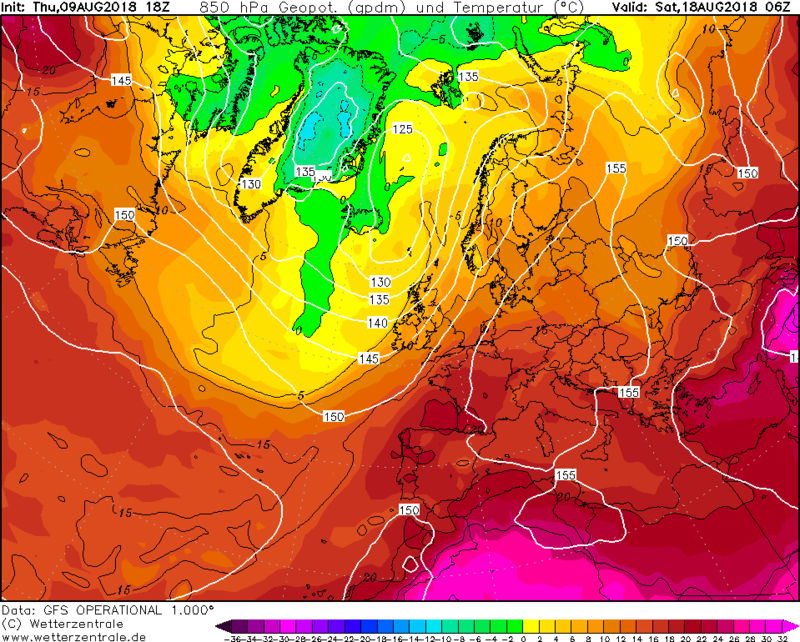 Even at 96 hours you have 850s ranging from 5-14c. If it’s that different at 4 days, everything thereafter is conjecture. Nothing really to go on except heights likely to be fairly strong to our south, so better weather never far away from the south coast. 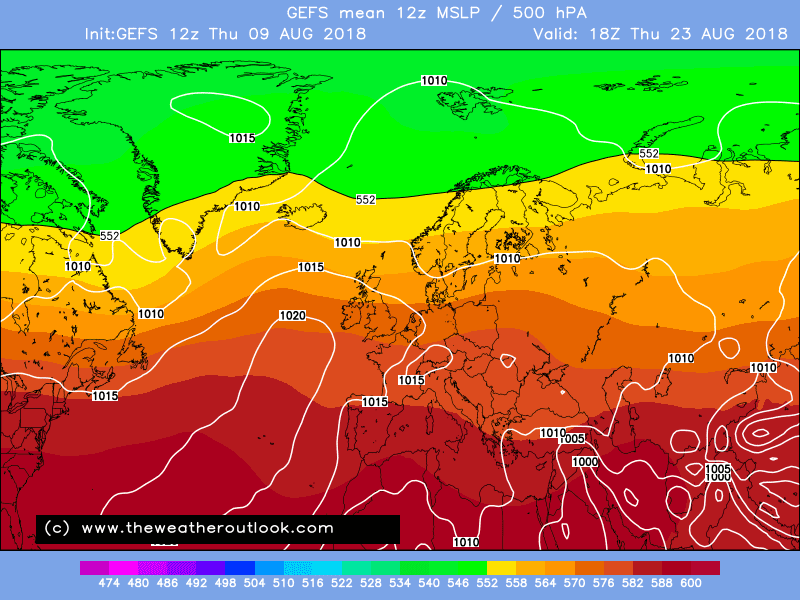 At present, we're still looking at a rather changeable week 12th-18th in the north with unsettled spells highly likely. 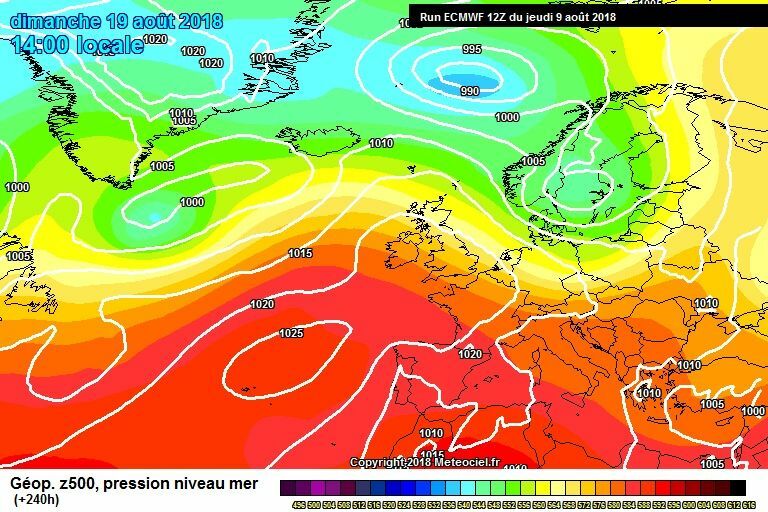 Further south, 2 or 3 goodish / warmish days in the middle of next week, then a front or two passing through, and then possibly another short recovery again. yes there was a hint... its still there today (or last night). i was hoping subsequent runs would develop the evolution of it, but so far theres nothing. i wouldnt agree they have been 'flipping about'.. they predicted the troughing, then took it away northeastwards which is what the ops are now agreeing on. unlike some of the recent ops which were quick to bring back building pressure off the azores, the anomaly charts didnt support such a large rise in pressure. the ops are now agreeing with the generally flat westerly upper flow. no change.... the 6-10 dayer supports the north atlantic trough more for that time period but the 8 - 14 dayer is unchanged. 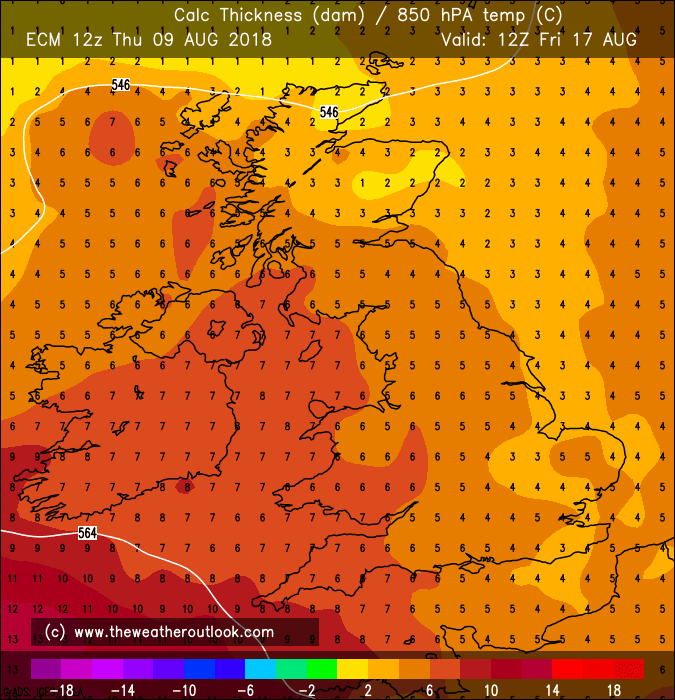 no significant troughing, no significant ridging, just bog standard westerly conditions which for mid august arent too bad. 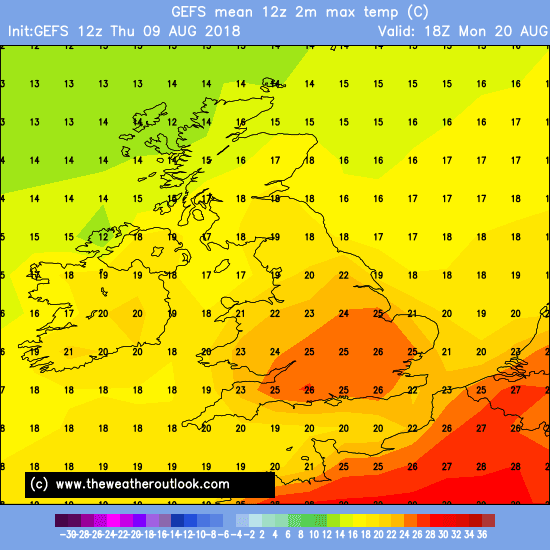 Out to 180h, GFS 18z shows a N/S split from Tuesday onwards. 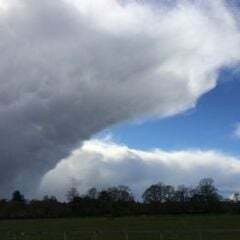 Frequent spells of rain in the north with low pressure systems zipping through Scotland, further south plenty of high pressure ridging with the best of the weather in the far south. Signs on the 180h chart of more of a SW feed and high pressure building further north. Until then it’s more of a westerly flow. No comments in 10 hours! Would love to know what the models are showing this morning, can't read them for toffee myself. Better in the south of the country.wet the further north you go . Pressure higher to the south with a mainly westerly flow. That’s not exactly true if your referring to today as there will be a fair amount of rain around in the south today in the form of showers as much if not more so than the north to be honest. Ensembles still all over the place. 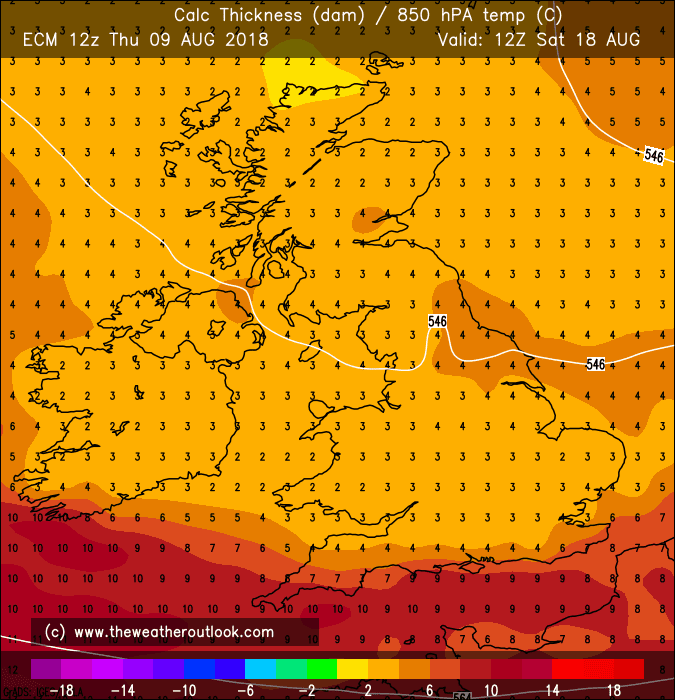 Even at 72 hours you have 850s ranging from 6c to 13c! 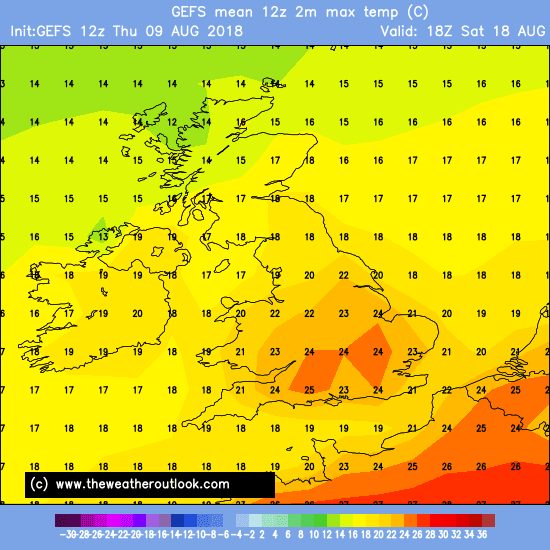 GEM goes hot and settled, others stay mainly westerly, which looks the best bet. 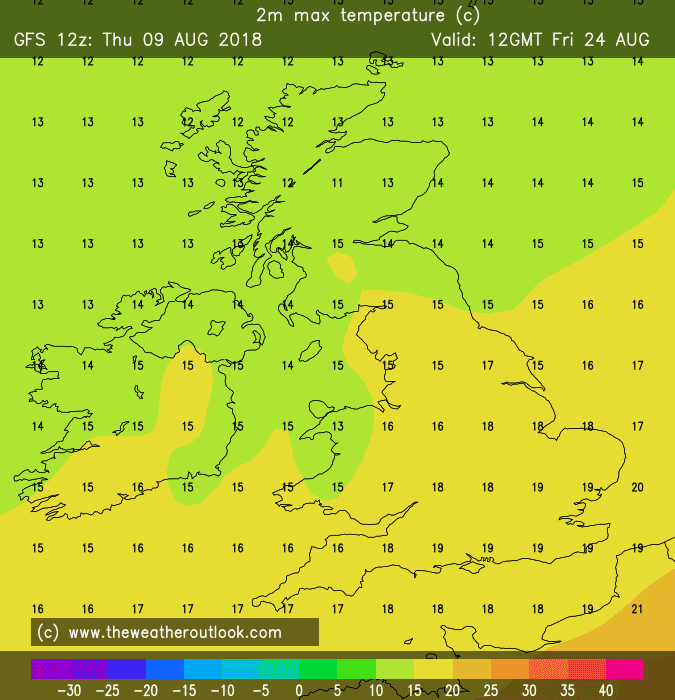 Met Office are still bullish about warmer and settled conditions towards the end of the month. Well on a fully Autumnal day where it started at just 7c and is currently raining heavily - remember even on Monday or Tuesday this week, the forecast was pretty much dry all week with just a front or two passing through at the weekend, well its rained almost every day now and Summer is 100% on hold. Scattergum ensembles are a tell tail sign the unsettled conditions will likely dominate. I would fully expect a mobile pattern to dominate for a least 10days, possibly until the end of the month and summer 2018 will likely exit with a whimper. 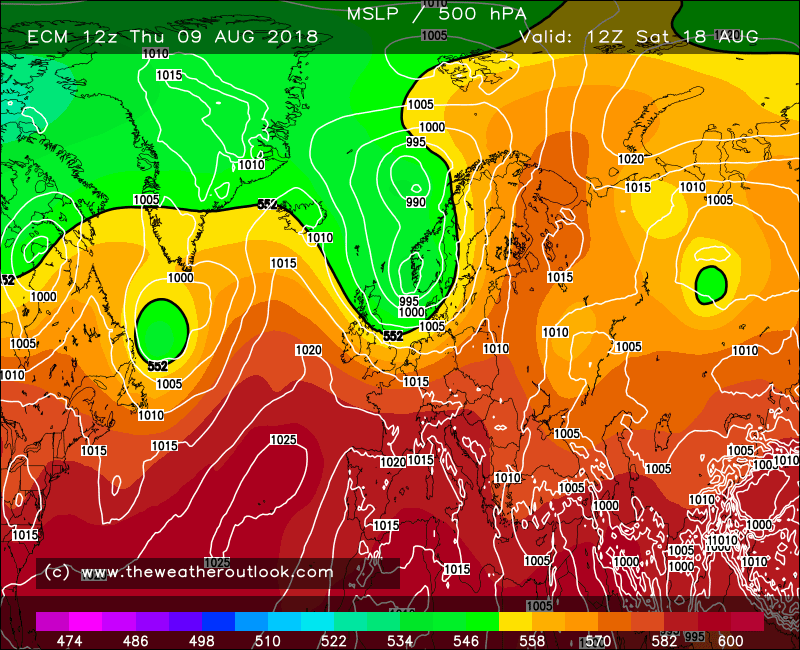 GFS very similar to the pub run with a N/S split developing from Tuesday under a broadly westerly flow, pressure highest to the south, lowest to the north - quite standard summer fare with sunny spells and only a few light showers in the south, much more unsettled further north. Pressure builds more substantially on Friday and Saturday from the south which should warm things up further. 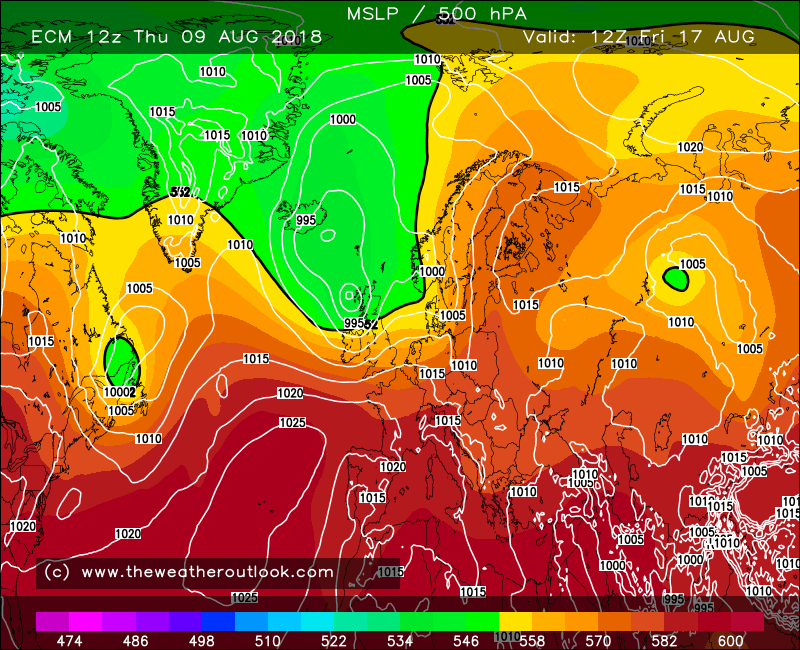 UKMO similar to the GFS on Tuesday and Wednesday however removes the westerly flow on Thursday with low pressure centred to the west of Ireland with more of a southerly flow into eastern England which should bring in some warmer, more humid air to these areas. ECM seems to keep us in a broadly westerly flow right out to next Sunday with a more substantial build of pressure only being shown next Monday. So again, driest/warmest/sunniest weather further south (although the south isn’t immune from some showers) and more unsettled further north. 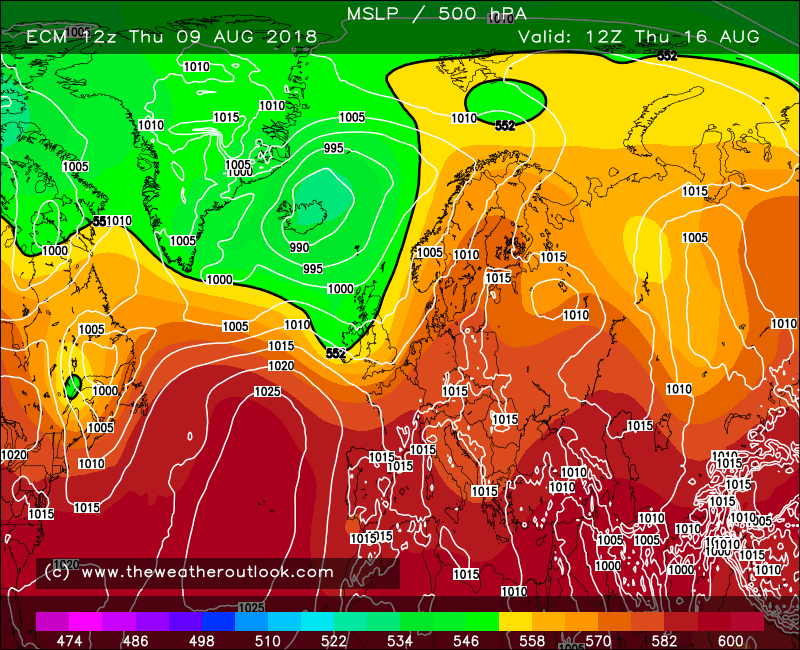 eeerrr!...going by the latest ECM output it doesn't encourage me although the weather looks somewhat more unsettled we see just as much warm humid Tm air in the mix as we do Pm air. 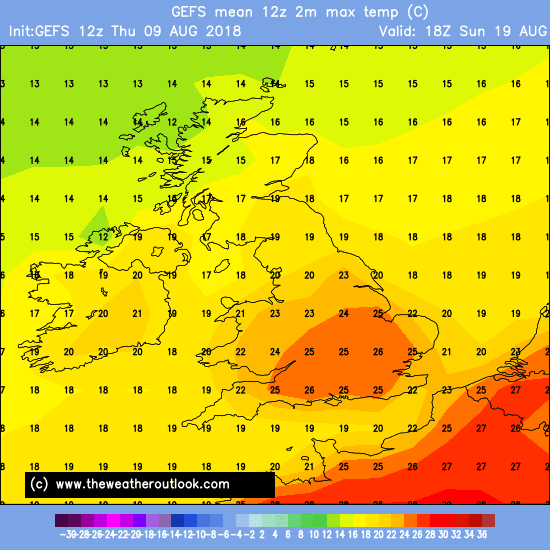 Hardly a north westerly in sight if you live in the south.Let's hope this model is off the mark. 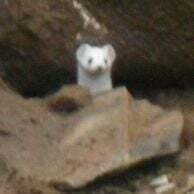 Do you want a NW’erly?